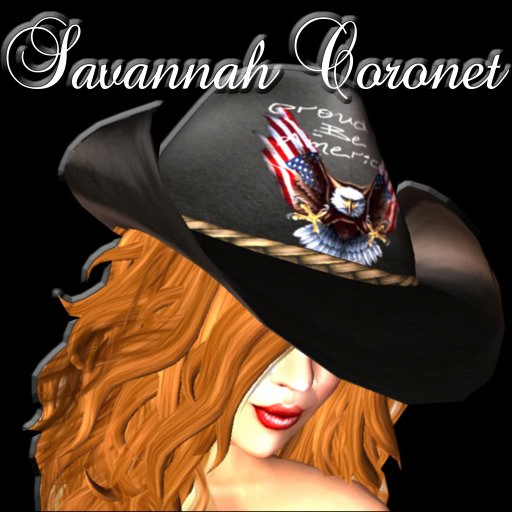 Savannah has been performing Live in Second Life since the end of 2008. She covers tunes from lots of genres but her heart and soul is COUNTRY MUSIC. A Texas Born South Carolina raised girl, she grew up listening to that sweet Country and Southern Rock music. She started singing in her early teens covering Patsy Cline tunes for school functions and area festivals! Now she lives her dream here in Second Life singing for the best fans in the world! ❤B A C K G R O U N D ~ I am influenced in my Singing by many different genres. My passion is country music!!! I am a Soloist that performs live to backing tracks. I was raised in the beautiful foothills of South Carolina USA. I started singing at the age of 11 in talent shows and at the age of 13 was performing in a small town opry house. Singing has taken me in many different directions including small musicals, theatrical roles, honors chorus, talent shows. I have won contests and I was also a singer in a garage band for a few years. Now I am living out my dream here in Second Life! !